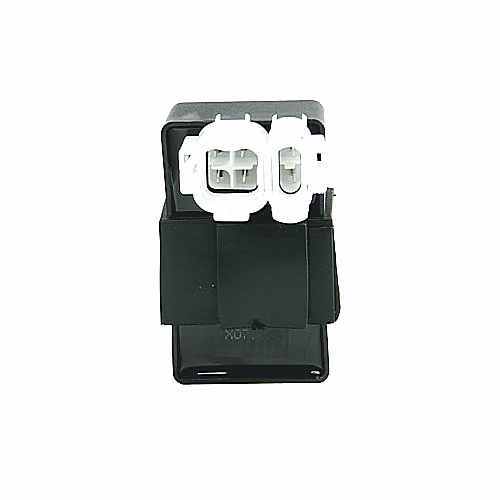 Original CDI ignition unit for vehicles with double plug in the CDI as ex factory mounted. which do not allow the arbitrary replacement of a CDI. Alternating current (AC): Vehicle jumps without battery. DC (DC): Vehicle does not start without battery. For example AC instead of DC) the main fuse of the vehicle burns through. However, the CDI is not damaged. Please note that the speed sensor located at the rear converter is not taken into account by this standard CDI unit, and thus no more 45km / h throttling takes place! This makes this standard CDI unit for vehicles with speed sensor unfortunately possibly to the tuning part!